After finding a redirect to Angler EK on urlquery.net, I investigated further, using different VMs to get the associated Flash, Silverlight, and Java exploits. 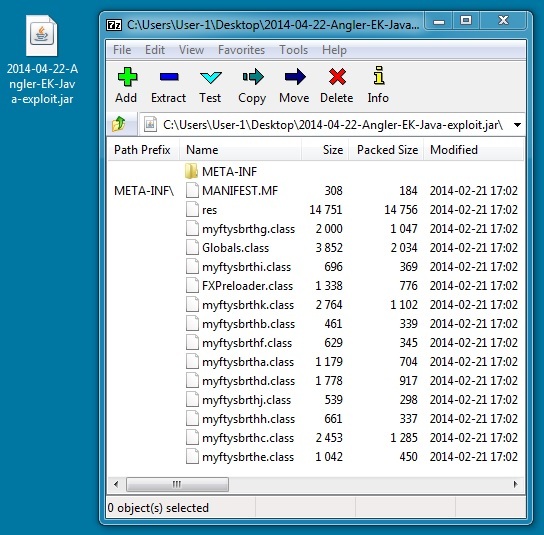 Angler EK wouldn't use Java if other options were available. I had to use a VM with IE 10 and Java (no Silverlight or Flash) to get the Java exploit. The "other notes" section has more details on the redirects. 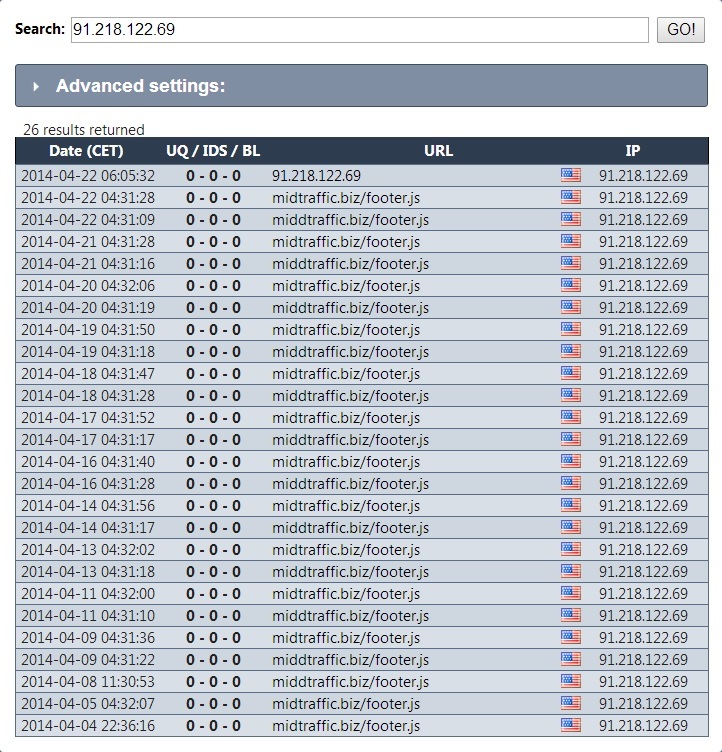 I previously found Angler EK on 2014-02-26, 2014-02-27, and 2014-03-23. 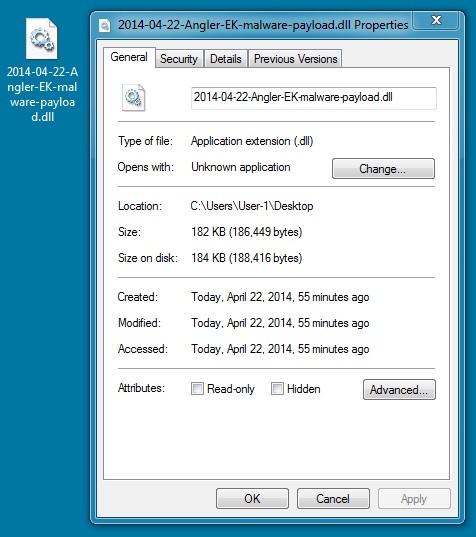 Result: Malware payload delivered, probably through MSIE exploit. Silverlight exploit sent after malware was delivered. Result: Flash exploit was still sent, even though I uninstalled Flash before the exploit traffic. Silverlight exploit delivered the malware. Result: Flash exploit was still sent, even though I uninstalled Flash before the exploit traffic. Java exploit delivered the malware. I downloaded the files, changed the file extension to HTML, and opened them in the VM. The script changes periodically--about every 10 minutes, I think. 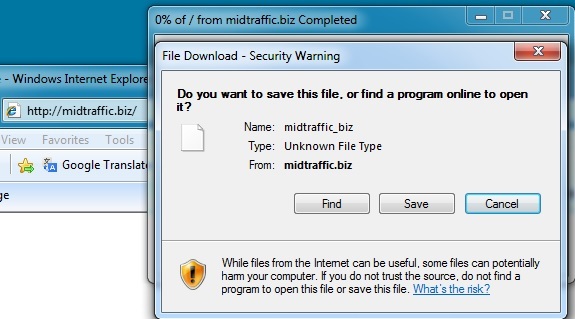 You only get one try--after you do this once, you'll get an empty file if you try again. I had to proxy through different IP addresses to get the four infection chains for this blog entry.